The earth has 'pores' that open up for errant shots, swallow the ball, then close again. None of these answers is really satisfactory, so Avant Garde Golfer decided to ask three psychics. We posed the golfer's conundrum, then asked "Where do you think the ball(s) go?" One of the three psychics actually plays golf, and he admitted as to how his balls are always on the fairway, but he has helped partners search for lost balls. The other two psychics don't play golf, but nonetheless felt comfortable with the question. Below are their advertised names, along with what they revealed to The Avant Garde Golfer. "This problem likely happens mainly to Saggitarius and Pisces golfers. Those are the signs of people prone to 'losing valuable things'. For them the ball truly does blend into the landscape, possibly taking on the green color of grass as camoflouge. The ball is there but it doesn't want to be found, and won't be. The problem is the golfer, and why he/she cannot hold onto valuable objects. Such people often lose spouses, jobs, umbrellas and the like." "The earth in fact does have pores, and items like keys, coins and golf balls are swallowed up quite often. It is a response to invasion - invasion of nature by manmade objects that don't belong. Earth's solution is to gobble them up, and once lost the golfer doesn't have a chance of ever finding the ball again. Earth is Gaia, and Gaia has feelings. If the golfer comes to me first, before playing, I can assuage Gaia, and perhaps prevent this from happening. It depends on the golfer's karma. Tell the golfer to come, I will see what is possible. Gaia is fickle." "It zeems zee ball has missed zee fairway or green, no? This duz not appen to me, but my playing partners, yes. I always find zee ball for them. You just have to know vere to look. They always look 15-20 feet away from ball. I go to ball, it is hidden, but I find it. Ball does not vant to be found, but I find it." Souza was asked if his skill as professional psychic played a role in finding 'lost' golf balls. Again, his words verbatim. "But ov course. I see zee ball even before arriving to where it be. For me, ball has radiant energy. Energy vich I sense, announces to me, 'Come, I am over here.'" It happened in chess, but golf? A machine beating a top caliber player on a regulation 18 hole golf course? No way, you say. Well, that's what they said about chess, until IBM's Deep Blue computer beat world champion Garry Kasparov, May 1997. But wait a minute -- chess is all mental. Golf is mental and physical. How can a machine beat a real human at this complex game? Think for a moment. The object in golf is to engineer a 1.68 inch diameter ball from the teeing area through a distance ranging from 100 to 500+ yards, and eventually into a 4.75 inch diameter cup. That cup is always embedded in a smooth carpet of grass - the 'green'. True, to get to the green you have to maneuver your ball so that it avoids hazards like trees, water, viciously high grass and pernicious bunkers of sand. The simplest way -- from an engineering standpoint -- is to simply hurl the ball from the teeing area to the green -- air mail, as it were. This is the route attempted in par 3 holes, of course, but it is not practical on longer holes, because most humans can't hit a ball in the air more than 250 yards. But since we're talking machines, that shouldn't be a problem. For example, using a small cannon with a computerized guidance system, one could easily program the exact position of every green on the golf course (latitude, longitude and altitude). A golf ball shot out of such a cannon could be expected to hit the green every time, and come in at any trajectory desired. Logistically this feat is far easier than, say, sending a much heavier ballistic missile hundreds of miles to an enemy target. Hipplewhite Dixon, creator of the first 'Man vs. Robot' golf tournament, realized this 'cannon potential.' In setting up contest rules for machines, he eliminated any means of propulsion not involving a swinging club. Otherwise, he told Avante Garde Golfer, "you would have elephants competing against apples, or some such ridiculous metaphor." The golf robot must utilize club heads that conform to USGA specifications; each head must be attached to a shaft, no longer than shafts currently in use (for the driver, 48 inches). The shaft must be swung through an arc so the head hits the golf ball, just like in a regular golf swing, at no greater speed than 120 mph (the fastest swing on the tour). The golf ball must be regulation in all aspects. It may be marked with ink or other marking material to allow the robot to find and identify the ball. A human caddy may accompany the robot, but may not physically assist in moving the robot from one ball position to another, or in setting up the robot to swing at the ball. The human caddy may replace robot parts or do other troubleshooting if such repair doesn't delay the game more than 30 minutes per nine holes. Any delay beyond the 30 minute repair period per nine holes will cause forfeiture of the game. If the ball is unplayable or irretrievable by the robot, the human caddy may take a drop in accordance with USGA rules, and then the machine may swing at the ball. The robot may be no higher than 6'3", no wider than 3 ft, and no heavier than 300 lbs. The last rule is interesting: you don't want to compete against a machine so gargantuan that it might tear up the turf. Even so, any machine reaching the outside dimensions will still leave its imprint (tire tracks, footprints, whatever) on fragile greens. That robot golf machines even exist may surprise most golfers. But in fact at least four companies were working on such a machine when Dixon had his brainstorm. Dixon contacted them and was pleased to learn of their interest in his proposal. He also notified all RTO members, and posted weekly notices in Golf World and three robotics trade journals, hoping to entice non RTO groups or individuals to take up the challenge. Dixon's goals were clear enough, but why would anyone even design a golf robot in the first place? Does anyone realistically think we'll see robot vs. human tournaments on the regular tour? At Dixon's suggestion we contacted Robots by Design, a company in Louisville, and spoke with RD's lead engineer, David K. Markus. Markus, age 40, is something of a spokesperson for the movement, and has written several papers on various design aspects. He plays the game but not well (he says), claiming the age old complaint of "not enough time." In a phone interview Markus said their golf machine grew out of a need for robots to wield tools like shovels, axes, and hammers. He foresees a huge market for robot laborers, inexpensive models that can do what men do tirelessly, and without layoffs, food or water. About two years ago one of RD's other engineers realized that some simple tweaking of a robot shoveler could also lead to a modified golf swing, and he took a crude model on the golf course (how he got it past the club pro is another story). He handed the machine a 6 iron (actually, he affixed the club to the robot's multi-faceted arm using an ordinary vice), and placed the ball so the club, once 'swung', would meet it square. With a program to 'swing the iron', Markus says, the machine hit the golf ball 170 yards. Straight. Golf club/ball manufacturers have been employing swinging machines for decades, to test clubs and balls. The difference is that the old machines are stationary, essentially simple levers, and the ball they hit is always in the same place. A true golf robot is not stationary, but goes where the ball is, and hits from any lie. Just like a human. After this first success the RD engineer went back to the lab to see if he could program partial swings, including the putting stroke. It turned out not all that difficult. After two years of tinkering he was able to develop an all purpose club face that could do just about anything. When the tournament's rules were announced, however, the machine was tweaked to accept USGA-approved club faces. The biggest problem with RD's golf robot has been setting up to the ball. Humans are much more adept, able to position themselves over the ball and make adjustments with infinite finesse. Machines can't do this without some extraordinary programming, requiring visualizing the ball via video cam, aligning coordinates, and determining the bottom of the arc for the each swing. This took a long time to work out. When the work was completed, Markus says, they realized they had a robot golfer. It was given the name Robogolfer (not very original, but descriptive). How good is Robogolfer? When first tested on a course (playing from the back tees, par 72, slope rating 128), Robogolfer scored 108. Not bad for a robot, but hardly a score to win tournaments. The problem was mainly on the greens. While Robogolf could send a ball 250 yards effortlessly, its putting left something to be desired. The machine kept over putting, and on that first game Robogolfer scored 52 putts (no gimmees). The putting problem has been fixed, and now RD won't say how low a score Robogolf has achieved; the company is saving that information in anticipation of Dixon's tournament. Also of note, Robogolf is not for sale, but if put on the market today, estimates Markus, the price tag would be upwards of $250,000. And that doesn't include the programming skills needed to maintain it. What's the next step? Later this month, there will be an 18 hole shoot out among the four robot entries. The winning machine will then play 54 holes against a yet to be specified PGA professional. We will profile these events in future issues of Avante Garde Golfer. Moon golf dome to be constructed 2023; dome will cover approximately 25 acres. Lighting and atmosphere will be artificial. Estimated round-the-clock temperature: 68 F.
Synthetic moon-turf will be used for fairways and greens. Rough is moon landscape and rocks. There will be no trees or water hazards on course. Bunkers (14) will be scooped out moonscape. Type of course: 9 hole, par 3, length 1560 yards. Longest hole 170 yards, shortest 95 yards. Clubs and ball are specially made for moon use; each player will be provided 5 clubs (Sand wedge, 9 iron, 7 iron, 5 iron, and putter). Each club is 2.5 times normal weight. The ball is regulation size, also 2.5 times normal weight. As a result, distances for each club should approximate earth distances. Players must use specialized pull cart and the cart must be within 10 feet of player at all times. Each player will wear a special bracelet with radiofrequency link to the pull cart; any separation more than 10 feet will trigger an alarm. (The cart can be taken onto the greens.) Attached to each pull cart is an oxygen tank and face mask, to be used in event of a dome decompression leak. Also attached is a single-button base phone link that when pressed signals the exact location of the golfer. 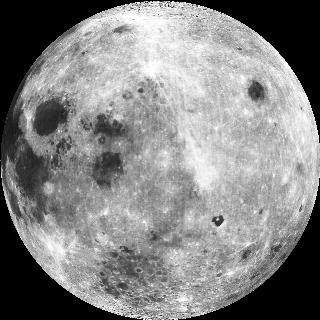 An emergency moon crew can come to the aid of any golfer in less than one minute; the same moon crew can locate and fix any small dome leak in less than 5 minutes. Cost to construct: 9 million Euros (estimated). Justification for having golf dome on moon. It will be a major recreational outlet for Moon Base One crew. (Approximately 125 people are posted to the base at any one time). Also, 5 acres under the dome will be used for experimental grass growing and gardening. Hole #9 will be cultivated earth grass. Who may play: anyone posted to Moon Base One. Approximate number of crew who anticipate playing golf at least once in a six-month rotation: 90%. Anticipated average number of rounds per person per 6 month rotation: 25 (some will play none, some will play more than 50). Cost to play: free to anyone on the moon, including guests of Moon Base One. The course will always be open (there is no 'night' or 'day'), and accessible via walkway from Moon Base One. However, due to several factors (especially the artificial atmosphere, and secondarily the pace of play), no more than 25 people may occupy the course at any one time. If there are 25 people in the dome, some will have to exit before new players can tee off. On April 1, 2020 Hubert Gonzalez, 21, and Mitchell Reese, 19, were arrested in Central Park for "reckless endangerment of pedestrians and motorists." The arrests took place at the north end of the reservoir, near the 97th street entrance. According to the NYPD complaint, the endangerment began at Central Park South (59th St.) just across from the Ritz Carlton Hotel. The complaint alleges they "recklessly hit golf balls without regard for their potential harm, in several cases coming within yards of unaware pedestrians and moving vehicles." While no one was actually hurt, the two were handcuffed and led away to the 105th street station. There they were released on recognizance bonds. Trial is scheduled for September 21. The case has generated a lot of publicity, and for several reasons. First, in the 160 year history of Central Park, no one (apparently) has ever been cited or arrested for hitting a golf ball there. Considering the range of human conduct in the park for which citations have been issued (from fornication to distilling spirits to practicing witchcraft), this fact is surprising. Is it that no one has hit golf balls in the park before, or that no one has been caught doing it? Second, lawyers for the pair argued in a court brief that hitting a golf ball is no different than hitting a soft ball or throwing a frisbee (both activities prevalent in the park), and that since no one was actually hurt by Gonzalez and Reese, it is absurd to arrest people for the act. At most, they argued, a warning should have been issued. In a counter brief, prosecutors argued that the distances reached by other types of air borne objects are a fraction of the golf ball's range, that other sports are played on defined playing fields and/or that non-participants are aware they are in the vicinity of a playing area. Not so the golf ball, which can travel up to 250 yards, with an entirely unpredictable trajectory. Furthermore, the ball is smaller and considerably harder than any other legally hurled object in the park. But the most intriguing aspect of this case is just what the two men were doing on April 12: playing a sort of pick up golf game, and not for the first time. Called Central Park Golf, it is literally a contest to see who can traverse the 2.5 mile length of the park with the fewest shots, using a pitching wedge. The game appears to have been played sporadically over the years, and for unclear reasons has never caught NYPD's attention. Presumably there have been no injuries. But a pitching wedge? The typical distance an average golfer can hit with this club is about 100 yards, not 250, and anyone with a decent handicap can certainly direct the ball to a (mostly) predictable landing area. From that point, however, where the ball goes -- its roll -- is generally unpredictable in a landscape as diverse as Central Park, where streets and bike paths intertwine with dense rough and trees. The record low number of shots (using a pitching wedge) is 52 over the 2.5 miles. one penalty shot for unplayable lie (e.g., against tree, in a gutter); a drop can be taken within five club lengths. Now that the public is alerted to this menace, look for golfers to avoid the park - at least for now. If convicted, maximum penalty for Gonzalez and Reese is 6 months in jail, although first time offenders of park rules usually get off with a fine and community service. Noise on the golf course - how big a problem? Avant Garde Golfer prides itself on finding interesting golf-related features for our readers - certainly not the "Cure Your Slice!" or "How I Won [XYZ] Tournament" cliche articles prevalent in most golf publications. So it is with some pride that we found an interesting review of golf course noise in a most unlikely place -- a lawsuit. Eagle Ray Golf Course vs. SM Golf Architects was filed in Indiana State Court in 2015, and a year later was settled out of court. However, before settlement lawyers for SM Golf Architects filed a legal brief outlining the claim and their defense. Since this is a public document we are free to quote it. Like all good legal briefs, it is written in clear language for a judge, on the assumption the judge knows little or nothing about the subject; in this case, we do not know if Judge McPherson is a golfer. On December 24, 2014 Eagle Ray Golf Course (hereinafter ERGC) and its corporate parent, Eagle Ray Industries, filed a lawsuit against our client, Stuart Mozden Golf Architects (hereinafter SMGA), alleging certain contractural breaches in the design of Eagle Ray Golf Course, Indianapolis, Indiana. The lawsuit alleges that SMGC did not account for excessive noise from freeway traffic (I-70) that runs parallel to 4 holes of the course (#s 12-15), and which, it is alleged, affects play thereon. The suit alleges that "SMGC ignored a major noise problem from the adjacent interstate highway (I-70), which their design could have accounted for in several ways. This design flaw has led to significant loss of revenue because of patrons' desire to avoid these golf holes and, as a result, to seek other venues for playing golf." The ERGC lawsuit further asks for $300,000 as the cost to insulate these holes from freeway noise, and also unspecified damages for lost revenue. We take issue with the extant claims of ERGC. The lawsuit is without merit and we ask for summary judgment and dismissal of the lawsuit. 1) At all times, and in all manner, the plans, design and location of the golf holes were known to ERGC management. ERGC operating manager Phillip Wilson signed off on the plans at three stages of development: August 4, 2011, February 7, 2012 and September 24, 2012. At each of these three stages the route location adjacent to fairways 12 through 15 was shown clearly on the plans. an estimated 5% of the nation's golf courses abut an interstate highway, other expressway or major national highway. Names of these courses will be presented at trial. another 19% of the nation's golf courses abut a major metropolitan throughfare other than an interstate highway, expressway or national highway. Names of these courses will be presented at trial. another 3% of the nation's golf courses are adjacent to (within 1000 yards) of a commercial airport that has more than 50 takeoffs and landings a day. At least 7 U.S. golf courses have 'airport' in their name, indicating proximity to same. Names of these courses will be presented at trial. 2% of the nation's golf courses (in addition to the ones noted above) are adjacent to other significant noise generating sites, including: power plants, amusement parks, factories, and sawmills. Names of these courses will be offered in court. 3) There are many other sources of golf course noise, including: golf course maintenance equipment that frequently is used while golfers are on the course; cell phones and beepers that are ubiquitous on many golf courses, including unwanted conversation within earshot of other players; noise from homes that line the fairway (car alarms, lawnmowers, radios, stereos, etc.). 4) In professional tournaments there is significant background noise from: patrons; the blimp that travels back and forth over the course for television transmission; the same noise sources mentioned above. 5) Noise on golf courses located in metropolitan areas is pervasive. It results from the fact that such courses occupy a large area (ERGC, including club house and parking, is 220 acres), are open to the sky, and obviously cannot be insulated from roads, highways, airports, and trains. A lawsuit filed because of mere proximity to an intestate highway cannot have legal merit. 6) Furthermore, claimant has provided no evidence of lost revenue from having four holes adjacent to the interstate highway. Claimant has also provided no decibel measurements of the noise levels on these holes, or evidence of how ambient noise might or might not affect play. 7) There is no evidence that SMGA has shown negligence in their design of these four holes, or in the overall design of the course. We therefore ask for summary judgment, dismissal of the lawsuit. Avant Garde Golfer (actually two lucky editors) traveled to Indianapolis to play the course in question. It is an upscale daily fee course ($90 per round, including cart), whose entrance is a short 2 mile drive from the interstate interchange on I-70, about 12 miles east of downtown Indianpolis. As the crow files the clubhouse is only about 3/4 mile from the highway. You can actually hear the expressway from the clubhouse but it is faint and not intrusive. As you approach the expressway on holes 9 and 10 the sound level increases, but still more as background noise than anything overwhelming. We noticed that on the green of hole #11 the sound increases markedly; it becomes really loud on the tee of #12. The tee boxes of #12 (there are four) are only about 50 yards from the chainlink fence guarding the expressway, which is left of the holes in question. The actual traffic is perhaps another 25 yards beyond the fence, or about 75 short yards from the tee boxes. This is close, and the noise from trucks and automobiles is continuous (I-70 runs from Columbus, Ohio, and is a major east-west route). There is foliage obscuring much of the view, but through the leaves one can certainly see vehicles whizzing by. Interestingly, the fairway angles slightly away from the highway, so that you would have to really hook your tee shot to hit a passing car or truck (another lawsuit?). This design suggests SMGA was certainly aware of that possibility, and situated the fairways to minimize balls hitting the highway. We noticed that the highway is slightly higher than the four fairways and runs uphill from hole 12 to hole 15. These two factors (lack of earth barrier and uphill grade) greatly accentuate the noise. Cars and trucks accelerate along this stretch. Truck acceleration, even on a shallow grade, increases the noise considerably. Without doubt we found the noise intrusive on hole #12, from tee to green. Holes 13, 14, and 15 similarly abut the expressway, with the tee boxes being closest, and the greens situated further away. Only on #16 does the course turn to lead you away from the highway noise. Sound diminishes as you travel the 17th fairway, a long par 5 that runs perpendicular to the highway. On #18, a par 4 which leads back to the club house, sound returns to a faint roar we first heard on arriving. We have to admit that the experience of nos. 12-15 would probably dissuade us from returning anytime soon, assuming we lived in the area. (And no, we will not use interstate noise as another excuse for our less than stellar play; we have plenty of excuses already. Besides one of us parred 3 of the four holes in question.) The fact is, there are numerous other courses on the east side of Indianapolis, and only a substantial drop in price at Eagle Ray would likely lure patrons there over these other venues. The manager on site during our visit, Mr. Ogden Moss, told us the solution is at hand. The course is set to build a large concrete sound barrier fence like the ones built to shield suburban homeowners who live along interstates. The fence will be 12 feet high and, to provide esthetic relief, lined with about 200 trees and bushes; these will hide the fence as much as possible ("otherwise that section [against the highway] would look like a prison," he says). The cost of the fence and trees will come to $300,000, the amount asked for in the lawsuit. Makes sense to us (the plan that is; we don't know about the lawsuit). The real issue is, why didn't SMGA build a sound barrier into their plans? The course seems well designed, and did not appear to flout any elements of good golf architecture. Here we drew a blank. Mr. Moss was not involved in the design process, and we understand Mr. Philip Wilson is no longer with the company. Under terms of the settlement reached last year, the parties involved cannot discuss the resolution or the amount presumably paid by SMGC. Mr. Mozden's office declined to return our phone calls. Mr. Moss indicated construction would take about 2 months, and in fact should be completed as you read this. But the larger issue remains: How bad is golf course noise nationwide? National Golf Foundation, the golf industry's trade group that surveys golfers for business trends, has belatedly included questions about golf noise in their survey questionnaires. According to as yet unpublished data at NGF, 17% of golfers surveyed found their home golf course (or the one they most often played) "very noisy" on at least 2 holes. "Another 15% found the course "somewhat noisy" on at least 2 holes. Mostly this is because of the course's location -- adjacent to streets, a highway, airport or airport approach route. In some cases the source is a factory or power plant. Another 30% of those surveyed complained about random noise on the course, including: cell phone conversation; course maintenance machines perversely employed while golfers are playing; car alarms; and blaring televisions and music systems from fairway homes. Particularly in western states, it seems fairway homeowners like to 'entertain' golfers with music way too loud for a golf course. Why has nothing about golf course noise appeared in golf publications over the last decade? Is it a verboten subject when reviewing a new golf course? In golf course reviews you will read paragraph after paragraph about bunker and water hazards, the vistas, the signature holes, even the pace of play, but nothing (literally nothing) about golf course noise. Yet from our experience, the data unearthed by Belkin, Belkin & Fried, and the NGC survey, golf course noise is not an insignificant problem. Write us a letter about your thoughts. Avant Garde Golfer has plans for an extensive letter section in future issues. Make your letter interesting, informative, provocative, and chances are we will publish it.